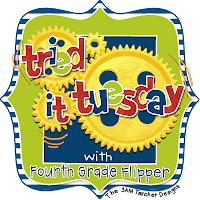 My buddy Gary from Scrappy Guy is having a linky to talk about whether we celebrate Halloween in our classrooms or how we handle this time of year at our schools. I'm going to share an idea that I've TRIED for the past 12 years around this "time of year". 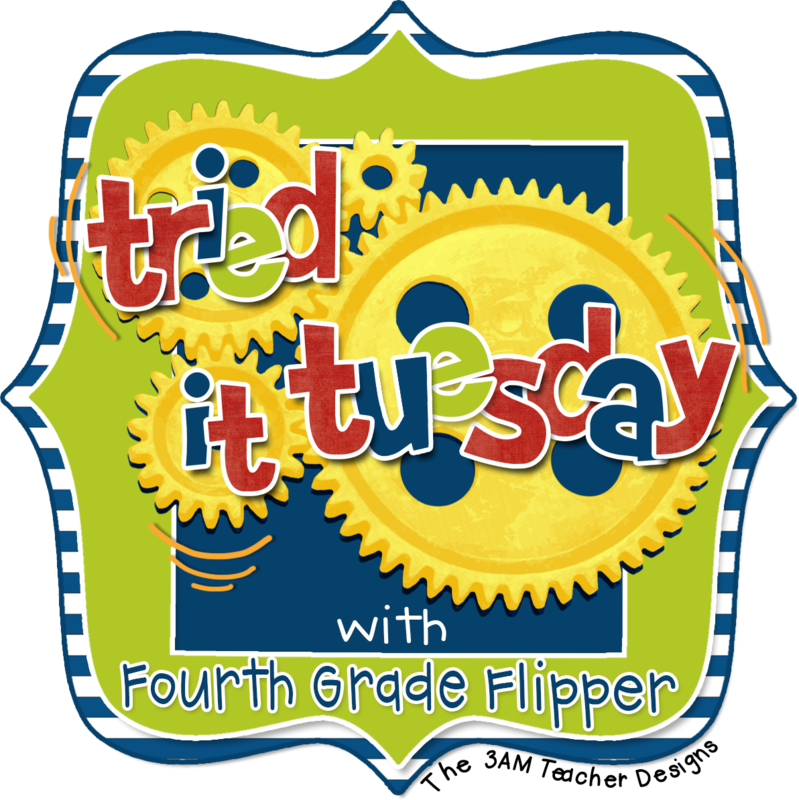 Linking up with the sweetest Holly from Fourth Grade Flipper to tell you about my idea! What do you think I do with all these props??!! Let me set the scene: While my students are at lunch, I set up my room for an unforgettable experience! I start up that fog machine right away so the entire room is filled (it looks pretty eerie) by the time they return! **I'm always nervous I'll set off the fire alarm (even though it's not heat). I hand each student a glow stick as they enter our classroom-it looks so awesome! The first students in get the first look, and by the time the last student enters, they're all sooo excited! They walk into a dark, fog-filled room with spooky music playing. They go to their desks and start their quickwrite (short 2-3 minute writing piece) using their five senses-lots of stimuli! They use their glow stick to light their paper while writing! Writing using glow sticks is loved by all!! After about 5 minutes (takes a little while to get them settled and quiet), I have my friend kick the door and run and scream wearing a clown face/wig through my classroom. Of course, they scream their heads off! It's an event I look forward to every year and I always have a few teacher guests that ask to come too! I'm hoping my students from last year don't tell!!! It may be a little "scary", but I get the BEST writing from this experience. We all laugh about it afterwards and my students talk about it ALL year long! So, I don't really celebrate Halloween in my classroom because I usually have at least one student who doesn't celebrate, but I like to do some activities and read some mentor texts that would fit the season! How do you celebrate this time of year? My friend Jess from I Heart Recess (we've met up twice--love her!) is celebrating a year of blogging and having an amazing giveaway! I'm so excited for her and to be part of this amazing prize package! Go check out all the ideas at Holly's, Gary's, and enter the giveaway! 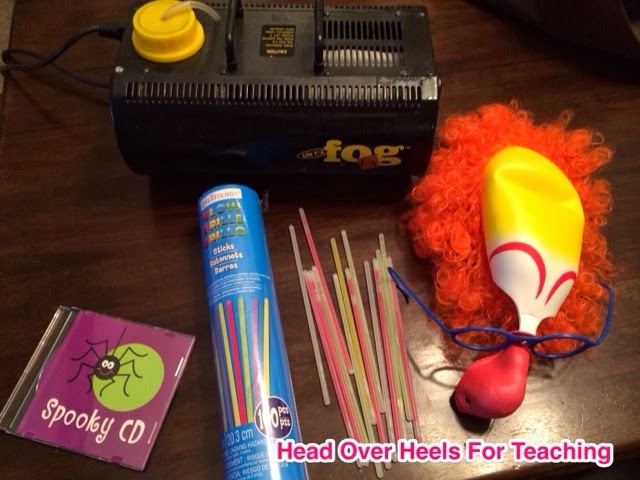 I LOVE that you have a fog machine! I wouldn't even know where to get one of those! I so wish I could do this. My class is in a pod setting. My pod friends would probably move all my stuff out of my room without telling me good-bye! My kids are the noisiest of the bunch as it is. I do LOVE this idea though! I might try it at home! Lol! Oh my gosh! How fun is this!!!!!! My sixers would go wild if I did this! BTW, we do Halloween BIG at my school, complete with costume parade, parties, and lots of games. We also do a school trunk or treat on one evening with a family party. LOVE it! Then the next day we celebrate All Saints' Day with a mass, followed by All Souls' Day with remembering all those who have died during the past year.... it's a tri-fecta! I love your creativity! What a memorable activity... I'm sure it inspires some great writing! You totally have to film this and share! This is absolutely genius! Where can I get a fog machine? That is just awesome. I've been in some school situation when the fog machine set off the fire alarm--twice during talent shows. I am so with you on the clown part! Yikes! Teaching first graders, I try to keep it a little milder. During our reading block the 3 weeks before Halloween we study nocturnal animals with an extra focus on bats and the week of Halloween and the week after we use our five senses to explore pumpkins! The nocturnal animals gives us the appropriate scary for 5-7 year olds, plus it ties right in with our study of the night sky in science. We do add in the occasional Halloween story or video just for fun, but only if we're not leaving anyone out. School wide, we do the booing of classrooms where by the end of October every teacher & class has gotten a special treat. This is a great way to boost morale and build community and share a little fall even when it's 90 degrees outside! Finally, on Halloween, we look forward to the annual storybook character parade. So much fun and such a chance to see good books! I think you're NUTS!! Kidding....sort of! My heart was racing just looking at that picture lol! My kiddos would so love this though. Too bad I'm too chicken to do it! Lol! Jivey and I asked our AP to let us do this. Any guesses on her response?